APS Mesomorph™ is the KING of pre-workout powders! Mesomorph™, the complete pre-workout powder that is the only product on the market to deliver FULL CLINICAL DOSAGE AMOUNTS of its state-of-the-art ingredient! No fillers and no crash! A lot of pre-workout supplements claim to revolutionize the way you work out, but many of them fall short, leaving you crashing at the end of your trip to the gym. They just do not contain the necessary amount of ingredients to jolt your body to the next level of fat burning and muscle building. APS Mesomorph is the only supplement on the market that delivers full clinical doses of key muscle-building and energy-boosting nutrients. The muscle-swelling nutrients in APS Mesomorph make your body stronger and more energetic from start to finish. When you leave the gym, you feel ready to take on the world, and your body is ready to burn fat and build muscle for hours. 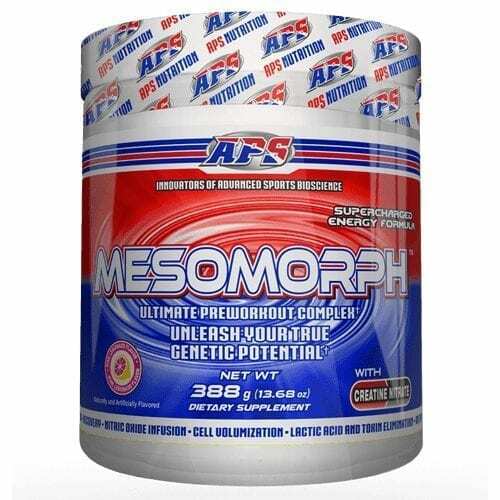 APS Mesomorph is engineered without unnecessary fillers and ingredients that may or may not work. Its ingredients have been tested and proven to deliver the endurance you need to step up your game. Without fillers, you do not risk an upset stomach or unnecessary water retention. When you take APS Mesomorph, you feel like your body is getting the biggest boost of adrenaline possible, without any discomfort. Your endurance seems like it will never wane. The last rep you do feels just as great as the first. You will stay at the gym longer than you ever thought you could. Your muscles will be on fire, and the burn will feel phenomenal. You will gain muscle mass at an accelerated speed, and all those other guys taking less potent pre-workout supplements will wonder what they are doing wrong. APS Mesomorph does everything outlined above and more. It also speeds up your recovery time, which means you can hit the gym more times per week. Additionally, it boosts your immunity, helps your body get rid of free radicals, and helps you detox gently, allowing you to let go of the toxins in your body that are weighing and slowing you down. Many of the key active ingredients in APS Mesomorph, including Beta-Alanine, L-Citurline, and Creatinol-O-Phosphate, are four times as potent as they are in other popular pre-workout supplements. This means you work out four times harder. 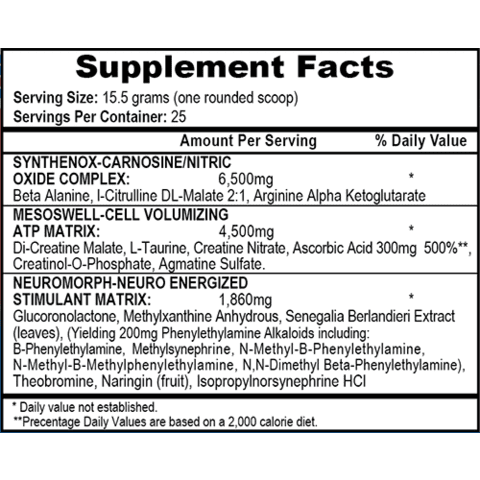 Below is a breakdown of all of the active ingredients in APS Mesomorph. Beta-Alanine is the precursor to carnosine, which is a component that boosts strength and builds muscle. It increases physical performance dramatically when taken in the right doses. L-Citurline turns into L-arginine and nitric oxide in your body, both of which increase blood flow and energy and give your immune system a boost. Creatinol-O-Phosphate is a heart healthy component that keeps your blood pumping and your heart rate steady during rigorous workouts. L-Taurine is amino sulfonic acid that provides stimulation to your central nervous system and body, keeping you focused and driven to succeed. It also has anti-oxidant properties and helps your body get rid of toxins faster. Neuromorph-Neuro Energized Stimulant Matrix is a gentle formula of compounds that stimulate your central nervous system, giving you a jolt of energy while preventing a crash later on down the road. Methylxanthine Anhydrous is an energy-producing compound found naturally in your body. When added to supplements, it increases your endurance, and allows you to stay at the gym longer. Mesoswell-Cell Volumizing ATP Matrix is a specially formulated compound to give all of the cells in your body an edge. It increases your body’s ability to keep going and recover in less time. Synthenox-Carnosine/Nitric Oxide Complex is the perfect mix of ingredients to keep your blood flowing (thanks to the Nitric Oxide) and keep your muscles growing (thanks to the Synthenox-Carnosine). Will the Beta-Alanine in this supplement make my body tingle? This is a possibility, but it is less likely to happen if you start out with half a scoop of APS Mesomorph and gradually increase your dose over the course of a few weeks as your body adjusts to the supplement. How quickly does APS Mesomorph work? It is recommended that you take this supplement 40 minutes before a workout. 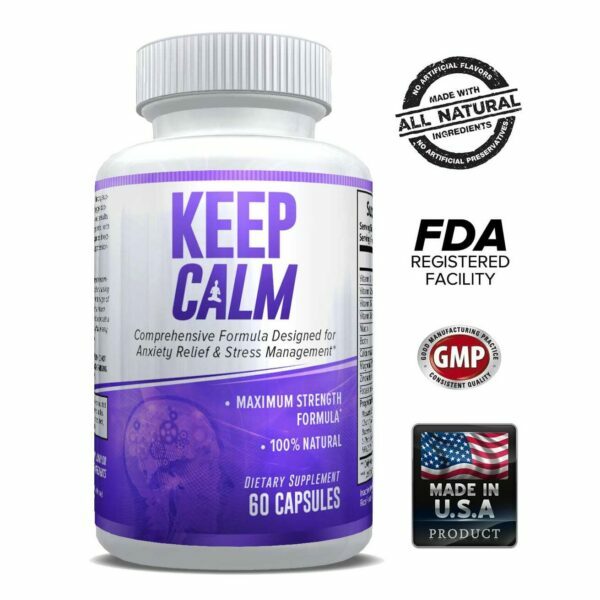 It can take up to 40 minutes for you start to feel the full effects. How many times a week can I take APS Mesomorph? You can take it every day. For best results, drink water mixed with one scoop of APS Mesomorph every day you go to the gym for strength-training. On days you are not going to the gym, drink water mixed with ½ scoop. Always take on an empty stomach. 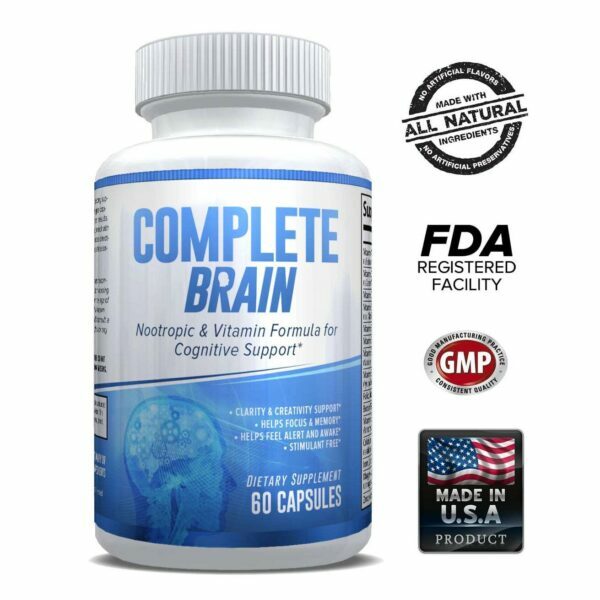 Keep in mind that it is recommended that you only take this supplement for 60 weeks. After 60 weeks, it is best to take a break for 8 to 10 weeks before you begin taking it again. What side effects does this supplement cause? If taken as directed and if you increase doses slowly, there should be minimal side effects from taking this supplement. If you notice any major side effects, discontinue use and consult a physician. Avoid taking the supplement for longer than 60 consecutive weeks. Doing so may cause unintended side effects and reduce the efficacy of the product. Who should not take APS Mesomorph? Women who are pregnant, anyone under the age of 18, those with high or low blood pressure, anyone with a history of seizures, and anyone who has a heart, thyroid, or liver condition. Tell your doctor you are thinking about taking APS Mesomorph before you try it out just to be safe if you have any health condition. Will I feel jittery after I take this supplement? Unlike many pre-workout supplements, APS Mesomorph does not contain caffeine or other stimulants that tend to make you feel jittery. Chances are, you will feel focused, strong, and energetic, without feeling edgy or too energized. How long will it take to see results while taking APS Mesomorph? You should notice a difference from the first day you take it, and you can expect to notice the biggest difference in your endurance and strength after about 15 weeks of use.